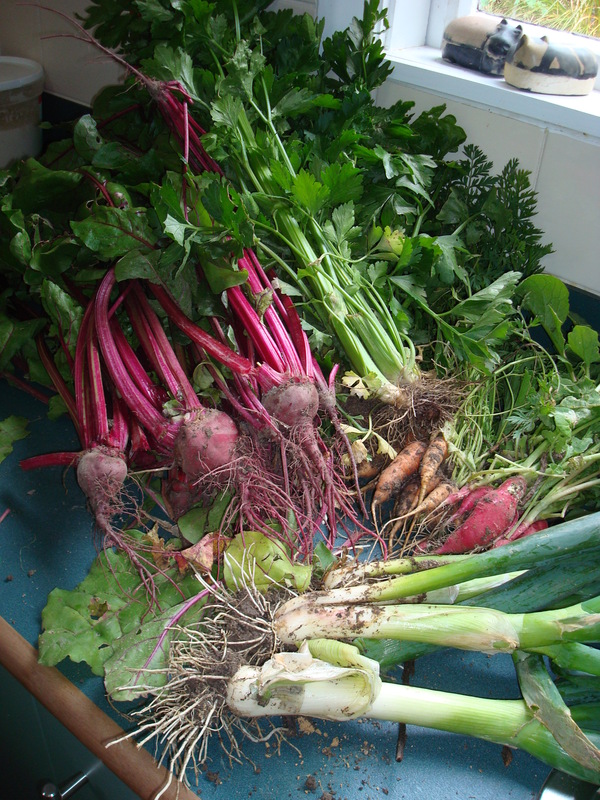 What I harvested today were Carrots, Beetroot, Celery, Spring Onions and Radish. Of all the delicious foods I am going to cook from this I am most exited about the Carrot Leave Pesto. I have all my life made Basil Pesto with the abundance of Basil that was growing where ever I was, but Dunedin has taught me that you cannot grow Basil unless you have Greenhouse. So I have to make Pesto from Carrot Leaves, which I have NEVER done before. Should it be edible at all I shall post the recipe within the next few days.